Volkswagen can’t lead with a straightforward luxury message because it would deviate from their brand and alienate their target market. What happened the last time Volkswagen went all luxury on us? The Phaeton. By most accounts I’ve read the Phaeton was a classy, high-quality luxury automobile, but no one wanted to pay 60 grand for a VW. I think I’ve seen two in my life (and I’m not convinced it wasn’t the same one, twice). I’ve seen more Tesla Model S, and it’s only just appeared in Canada! 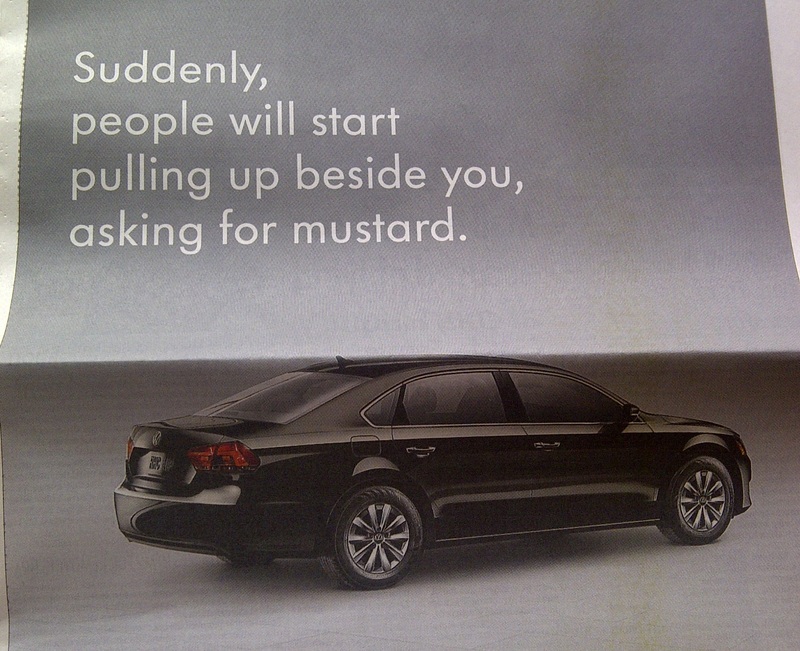 Anyway, I find advertising simply fascinating – from the good to the bad to the “huh?” – so from time to time I’m going to be posting examples that catch my attention in one way or another. Of course, feel free to share your own faves in the comments section. ‹ What’s Your Opening Pitch?